Ready for Festival season? Summer or Easter camping? A great adventure in the great outdoors? Roadtrip or rock up at a campsite of your choice? Ah, then you’re going to need one of these babies. We luuuurve these unique campervans (each with their own personality, no less) which will totally make you stand out from the crowd at the best of the fests. Book one for your favourite festival, and then you’ll be back to bag it again for the summer hols! These fabulous glamping-style camper vans are one of a kind and, honestly, we’ve never come across vans that stand out from the crowd quite like these. 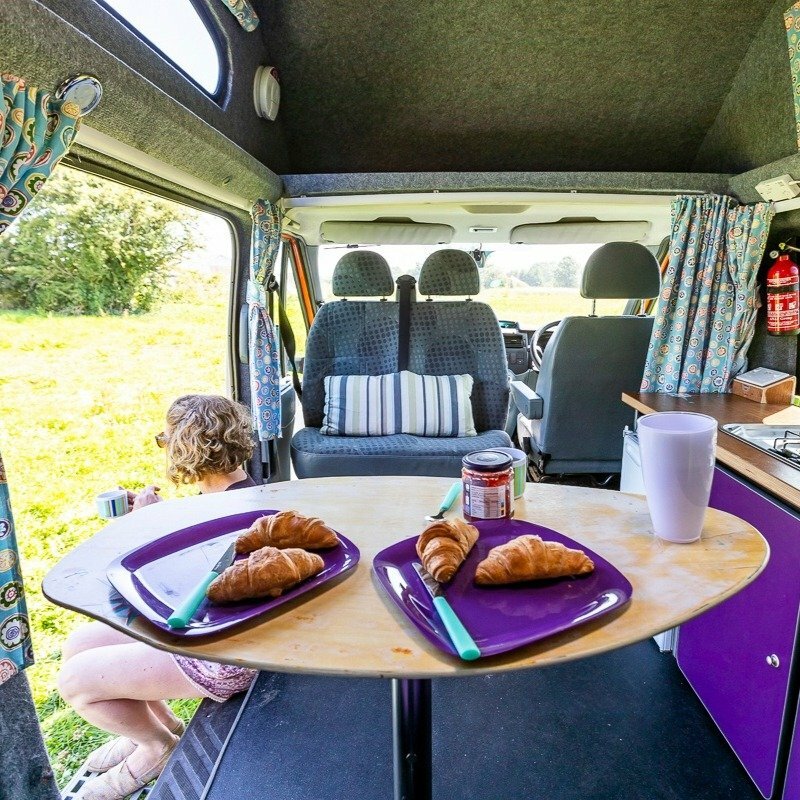 Spacious Sally is a light and airy campervan who loves being part of the family, apparently! Lula is compact and pet-loving (even with an extra seat belt clip for a dog), the perfect size for a road trip. Amelia, the latest edition to the fleet, has a clever layout to accommodate a party of 4, is easy to drive, and even has a flushing loo! For additional sleeping or living options, you can also add on their airbeam awning, event shelter or pop-up tent. 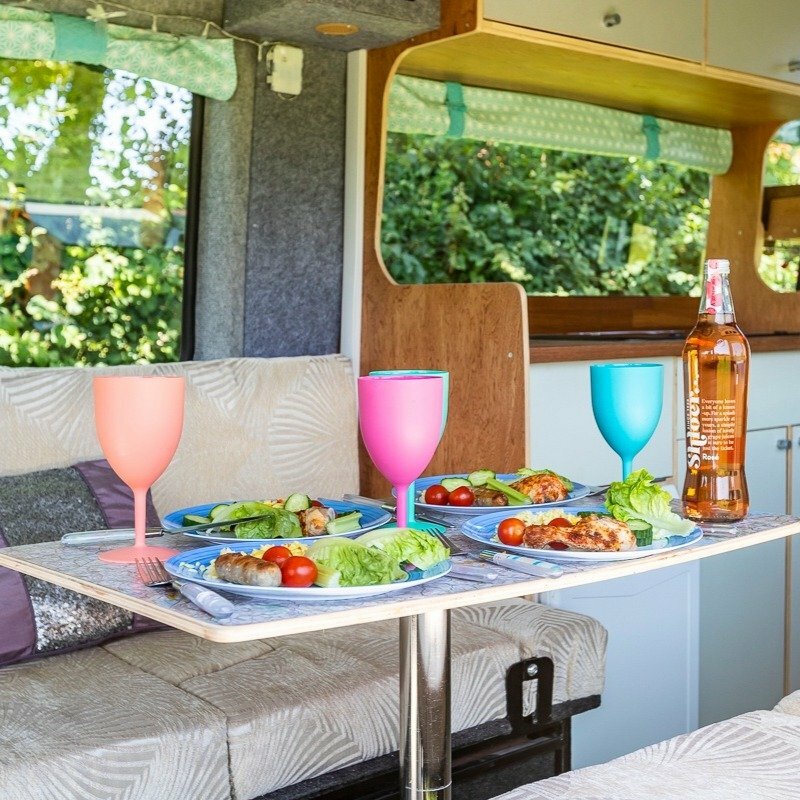 With over 10 years’ experience of holidaying in homes-on-wheels, Wanderlust Camper Co have got this part of the market sorted, fine tuning their campers to give you the best possible experience. 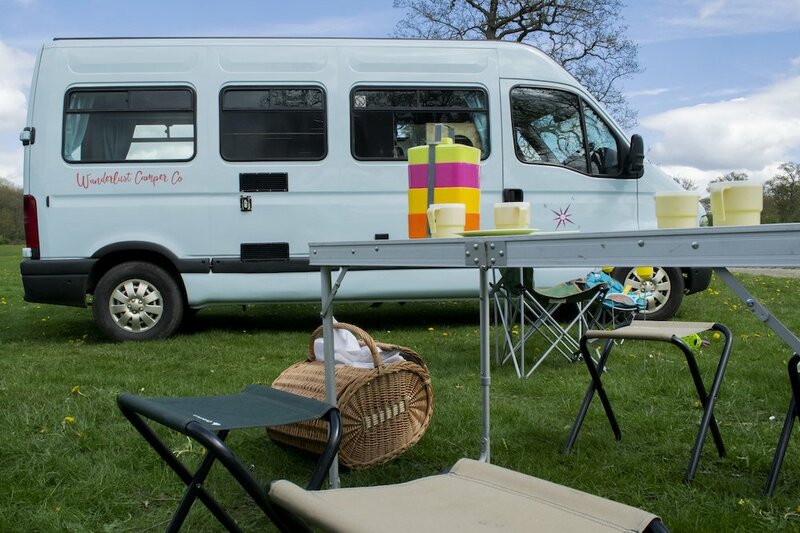 All of their vans have comfortable, easy-peasy, flexible accommodation arrangements for families, couples or even groups of friends. Most importantly, they are ready for any adventure you choose, from short breaks or weddings to hen dos to lengthy road trips – take your pick. Based in rural Gloucestershire, it’s a mega bonus that they are perfectly located for exploring Hereford & Worcester, the Forest of Dean, Malverns, Cotswolds, Brecons and Gower Peninsula. Going further afield? They are bang on the M50 and M5 so you can scoot off easily. A big mention must go to their personalised service – their passion for campervan adventures is clear, and with their wealth of experience they know that your camper has to be comfortable, the beds have to be perfect for adults and children, it has to be the ideal size for getting around British roads, there has to be storage, it has to be easy, it has to be fun and it has to be magical! And they’ve ensured that their campers do just that. Everything has been thought of and they have designed the campers themselves, both inside and out, thinking of everything from well-equipped kitchens to mood lighting. And, ‘cos we’re Muddy and style is of the essence, these vans look stunning with vintage blue exteriors and funky interiors, all handcrafted by the team at Wanderlust Camper Co. Need more tempting? 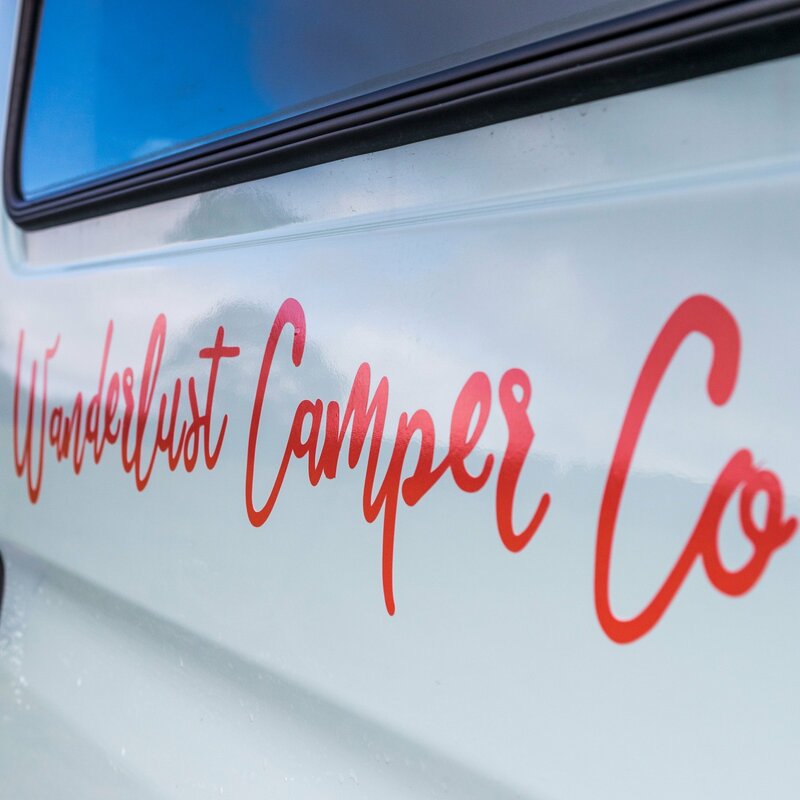 Wanderlust have teamed up with local artisans, chefs and activity centres to combine a campervan stay with one of their fabulous experience suggestions. Fancy ‘set-jetting’ across the Forest of Dean and Wye Valley for film and TV set tourism trails, visiting places where Harry Potter or Star Wars were filmed? Or is following the cider-route across Herefordshire more your thing? Or if you want to blow the cobwebs away, take a look at their collection of walking festivals or ​breathe the fresh air along the Welsh coastline. They are also sited within a popular equestrian area and are close to many major events meaning you can park up oh-so-close to the action. *BREAKING NEWS* Wanderlust Camper Co are offering 10% off to all Muddy readers for any 2019 break when taken by 30th September. Minimum 3 nights. Enter ‘muddy10’ at the checkout to redeem.